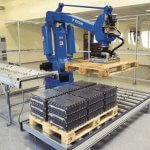 Already have a busy conveyor system? Looking to expand, upgrade or replace your system? We can help! 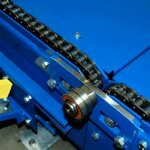 Expanding, upgrading or replacing a conveyor system can be a daunting task for any business, as more often than not the conveyor system is an integral part of a businesses productivity. Making do with an old, unreliable or poorly maintained system can cost a business in terms of repairs, downtime and maintenance. Andrews Automation offer conveyor system integration which is as seamless as possible, reducing the downtime of the conveyor system to the bare minimum. We have a wealth of experience in conveyor system integration, we have worked on numerous projects which have involved expanding existing conveyor systems, replacing old systems and completely upgrading conveyor systems. We have worked around production requirements and even installed system throughout the night so not to impact on productivity and deadlines. 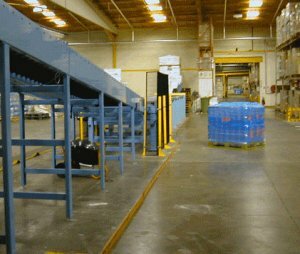 The integration of a conveyor system can often be the reason many businesses have not gone through with an upgrade, Andrews offer a comprehensive in-house service and aftercare plan, meaning they are always on hand to support and maintain the system to make the conveyor system integration as productive as possible.